Microgaming and Just For The Win have come together to bring a totally new kind of slot game for its players. There are 5 reels, 243 ways to win and is playable on all of your devices. 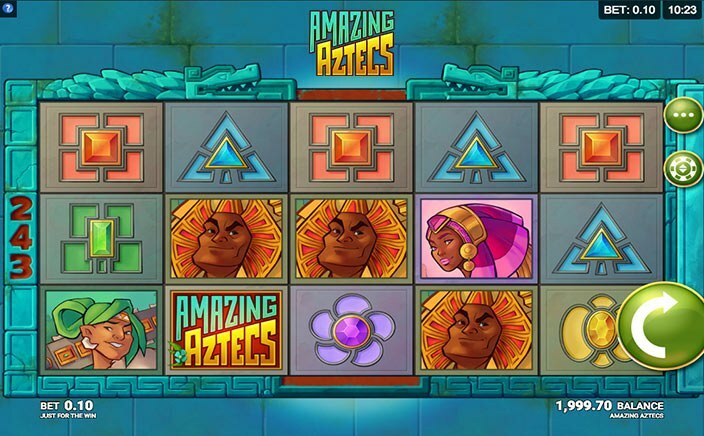 Amazing Aztecs can be played by setting the bets ranging from 10p and going up to £100. Play it at Monster Casino for real money to enjoy a smooth gaming experience. Amazing Aztecs has been developed as a tribute to the empire of Aztec which was spread across the Mexican region between the years 1300 AD and 1521 AD. During this period, the residents discovered the riches that Montezuma possessed. The graphics of the slot game have been kept cartoony and various symbols can be combined to make winning combinations. There are various symbols in the Amazing Aztec and these are not the generic ones. All of them are closely related to the theme of the game. They include tiger flowers, Aztec Style orchids, marigolds, lilies of the Incas and hibiscuses. The symbols include 4 characters which are the Princess, Chief, Shaman and the Hunter. The most rewarding symbol is the Amazing Aztecs logo which will give you 10 times the stake that you bet for just landing 5 on a single payline. There is just one additional feature in the Amazing Aztecs but it is more than enough for what it has to offer to the players. During any random winning spin, if a single symbol is highlighted in the win, this feature gets triggered. During the Giant Re-Spin, the symbol which is highlighted and the other instances of the same will start to act. 2×2, 3×3 and 4×4 blocks of the symbol which is highlighted are used to trigger the Giant Respin feature. This feature is used to enhance the winning potential. The reels get filled during this feature with the same symbol and you can have better chances of winning. The minimum amount that you will win is the amount that you had already won when this feature was triggered. 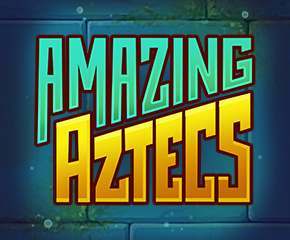 Amazing Aztecs offers just a single bonus feature. The variance offered in this slot is medium. The maximum that a player can win is 824 times the stake on every spin. If you are able to land 4×4 symbols of the game logo, you can enjoy this maximum payout.